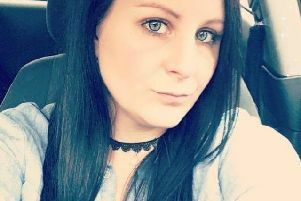 A coroner has highlighted the dangers of drinking alcohol and taking painkillers after the death of a Wigan mum. Karen McAuley was found collapsed at her home on Downing Close, Platt Bridge, on August 18. Tests after her death showed she had consumed alcohol and morphine, which had been prescribed to help a long-standing back problem. He said people should speak to their GP if they had questions about how the medication should be taken. The inquest, held at Bolton Coroner’s Court, heard Ms McAuley, 54, injured her back in an accident at work more than 20 years ago. She had seen many doctors over the years and had surgery, but still struggled with pain. She retired from her job as a machinist in 2014. The inquest was told she had regular appointments with her GP and other doctors to address the back pain and other health issues. Ms McAuley also drank alcohol, sometimes to help her sleep, and had previously overdosed on medication in 1995, 2000 and 2014. The inquest heard she was found collapsed on the kitchen floor at her home. There were signs she had slept in her bed and got up to make something to eat. Tests showed the amount of alcohol in her body was approaching double the legal drink-drive limit and the level of morphine was potentially fatal. A partially used bottle of painkiller Oramorph was found in her bedroom, which had been prescribed to her in January. Her family told the inquest she had taken the medication for 10 years and her GP said it was one of several drugs prescribed to her. Dr Patel said she was seen several times in the months before she died and Oramorph prescriptions were issued in January, March and May. She told him she had reduced her alcohol intake, he said. Both the coroner and Ms McAuley’s family questioned why she was given the painkiller when she had a history of overdoses and using alcohol. But Dr Patel said she wanted to manage the pain and have a good quality of life. He did not feel there was a risk of overdose and she was capable of managing her medication. Concluding the hearing, Mr Brennand said: “She has clearly gone through some episode of pain. He said she may have had reduced tolerance after not taking it for some time and it was combined with alcohol. He also said it was not possible to say how much Oramorph and alcohol she had consumed and when. Mr Brennand did not believe Ms McAuley intended to end her life and recorded that she died from the effects of taking the prescribed medication with alcohol. Her family had called for stricter rules for using drugs, but the coroner said Dr Patel had fulfilled his duties.